Meticulously maintained, Move in Ready, located in sought after Kell HS District. 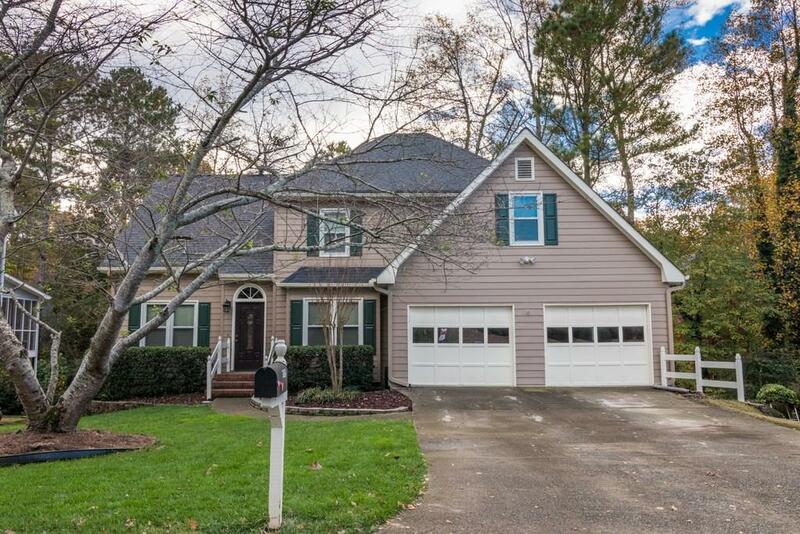 This light filled traditional home features plenty of space with 4 large bedrooms (+bonus room), 2.5 baths (updated master), large updated kitchen with seating for 10, and finished basement with workshop. Updates Galore; New Paint inside/out, New AC/Furnance , new water heater, new thermal windows, fenced in yard, updated deck, roof <10 yrs. Neighborhood offers swim, tennis, and playground. Close to I-575, Minutes from downtown Woodstock, Kell HS, and KSU. This will not last long! Directions: 575n To Exit 4. Left Off Exit. Right On Shallowford Rd. Left Into Subdivision- Falcon Hills. Continue Straight. Third House On The Left After Stop Sign.